Gallery Kragh was founded in 2004 by Maria Kragh. 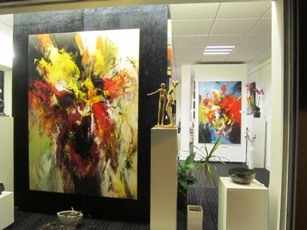 Gallery Kragh is dedicated to represent Danish and international artists, providing exclusively original works of art. Located in Sonderjylland, in the heart of the beautiful and historic town of Graasten, the Gallery offers a superb selection of modern paintings, sculptures, glass and ceramic. PÅSKE åbent: galleriet i Gråsten lør.kl.10-13, og i Mjang, torsdag-søndag kl.10.00-17.00 . GOD PÅSKE MED KUNST!!!! !